Are Bank Fees Hurting Your Savings? I made an unfortunate discovery while visiting the bank this week. One of my savings accounts has been withdrawing a $15 monthly fee for the past year. Surprised, I asked the teller to explain the issue. “Did you once keep more money in this account?” she asked. My bank wasn’t trying to cheat me, but that doesn’t mean I didn’t feel cheated. By choosing to move my savings into another account, I inadvertently cost myself $180 in annual fees. While it doesn’t seem like much, $180 could pay for a week’s worth of groceries, a single car payment, a new piece of furniture, or a contribution to my Roth IRA. Learn from my mistakes by discovering how to avoid your own bank fees. Why pay when you can save? Know the rules. Banksare legally required to spell out the particulars surrounding account fees and penalties. If you can’t find the information online, stop by your local branch and ask for some individual direction. Many banks are willing to waive the fees or downgrade your account to prevent future charges. Set up an alert. Ask your bank to notify you when a fee is about to be charged. Better yet, grant them permission to downgrade your account if your balance dips below the mandatory minimum. If you’re a do-it-yourself banker, write the minimums for each bank account into your checkbook, being sure to stay within the safe range each month. In the long run, a little attention could save you a lot of money. Avoid the overdraft. Serious fees are charged when you withdraw more than your current account balance. This mistake can occur if you fail to budget correctly or miscalculate the timing of your bill payments. Not only could an overdraft result in hefty bank fees, an incomplete bill payment could damage your credit as well. 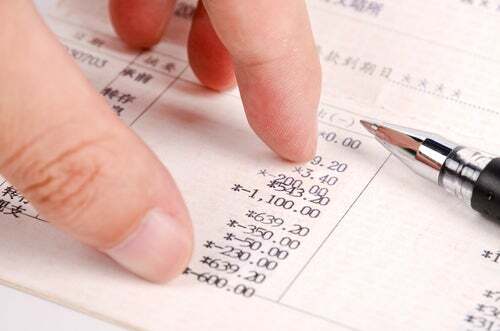 Keep it simple by assigning expenses to each bank account. For example, Checking Account #1 is used for living expenses, e.g., rent, utilities, student loans, food, etc., while Bank Account #2 is used for entertainment and discretionary spending. Maintain a separate account for hands-off savings. Organizing your finances will keep your life running smoothly and bank fees off your radar. Understand ATMs. You probably know that using another bank’s ATM is going to cost you a service fee—usually between $3 and $6 per transaction. What you may not know: banks like Ally will reimburse you for fees incurred at a competitor’s ATM. If you can’t find a similar solution, stick to your debit card. Why pay fees to spend your own money?